Molgas Energia - Broadview Energy Solutions B.V.	Molgas Energia - Broadview Energy Solutions B.V.
Molgas Energia S.A.U. has its main office in Madrid (Spain), but has sales branches and operations in many other European countries. 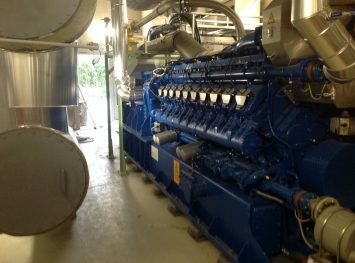 As such, Molgas is the leading LNG distributor in Europe. Spain and Portugal together consume approximately 400 TWh of natural gas annually. As neither country has any significant gas production of its own, virtually all natural gas needs to be imported either via pipeline or LNG tankers. Spain imports natural gas from over 10 different countries, but traditionally, Algeria has been the main gas supplier. About half of the gas is imported in Spain in the form of LNG. 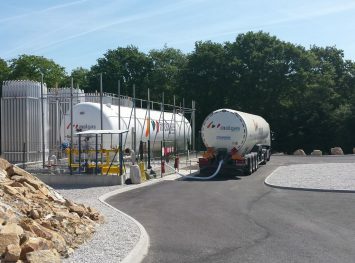 Enagas, the gas infrastructure manager, began operating the first LNG import terminal and regasification in continental Europe. This LNG terminal is located in Barcelona and came into service in 1969. 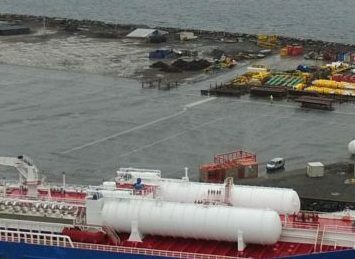 After the construction of the Barcelona LNG terminal and in parallel with the development of the gas grid, a market for transported LNG developed. Nowadays, the LNG terminal infrastructure and the national gas grids of Spain and Portugal are well developed. Along the coast of the Iberian peninsula seven LNG import terminals have been constructed. Moreover, the gas grids have national coverage and are interconnected to France, Morocco and Algeria. Since all LNG import terminals offer open access truck loading services, a liquid and flexible small scale LNG market has been established. 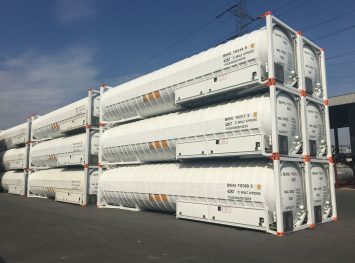 As a result, the small scale LNG market in Spain amounted to approximately 42’000 truck loads or 12-13 TWh in 2016 as reported by Gas Infrastructure Europe (GIE). Despite the rapid development elsewhere in Europe, Spain and Portugal together still represent 85% of the total LNG truck loading market in Europe. Molgas Energia started out as a logistics company distributing fuels like LPG, gasoline and later on LNG. At the moment, Transmol, a Molgas subsidiary still is an active player in this field. However, Molgas Energia has developed into an integrated one-stop-shop supplier of LNG. As such, it offers engineering, maintenance, leasing, transport as well as commodity trading services. The company has always been at the forefront of the development of the Spanish small scale LNG market. In particular, the company has designed and built nearly 300 LNG satellite plants. Starting from its solid base in Spain, the company is now a key player in nearly 10 countries including Spain, Portugal, France, Italy, UK, Ireland, Netherlands and Belgium. The company is the leading LNG distributor in Europe with approx 40% market share in truck loadings.